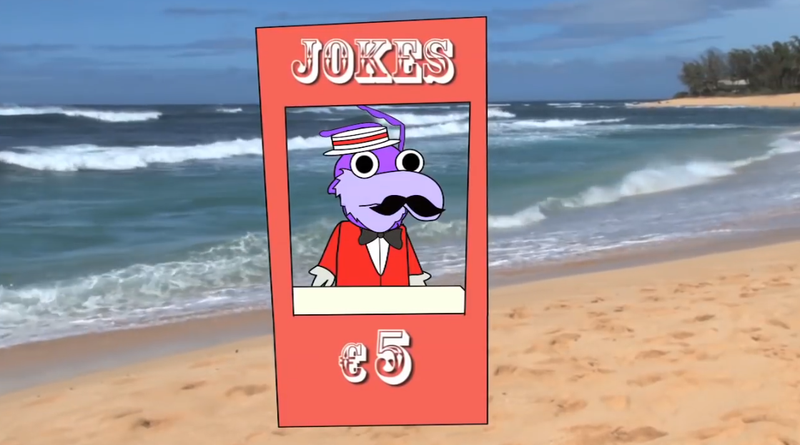 Answering the modest wishes of any number of Sumol-sipping fans, the Tiny Fuppets are finally coming back. It’s been six long years since Scott Gairdner (Funny Or Die, Moonbeam City) last posted a video cataloging the Portugeuse-voiced antics of his beloved online animation darlings, but now that time has come around again, complete with a teaser trailer that parodies a classic “Don’t smoke in the theater” ad from the 1980s, because hey, why not? But even beyond the random riffing on popular properties and their bootleg doppelgangers, the series also works as a weirdly effective character piece, especially when it focuses on Kermit parody Kormit. Like his officially licensed counterpart, Kormit is the leader and linchpin of his universe. But where Kermit strives to be warm, Kormit is brusque and self-obsessed, while still being weirdly focused on practicalities. (He’s the sort of guy who ends a big “I Want” song by rationally noting that both sides of an argument have merits.) Those slightly alien emotions help anchor all the rest of the nonsense, and they’re just one reason we’re so excited to see Tummi, Animanuel, and all the rest making their way back to our screens.